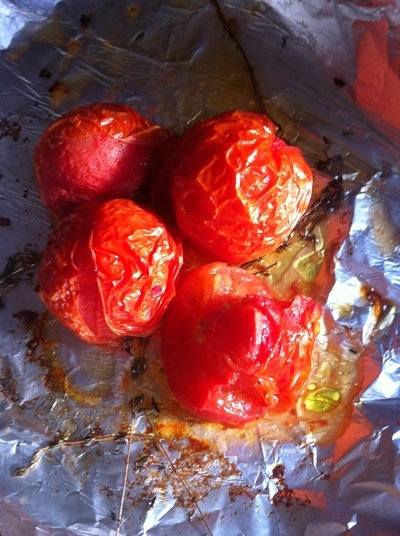 Roast tomatoes sweeten when they're cooking in the oven, so they're a lot more bearable for little ones who aren't keen on the red fruits. 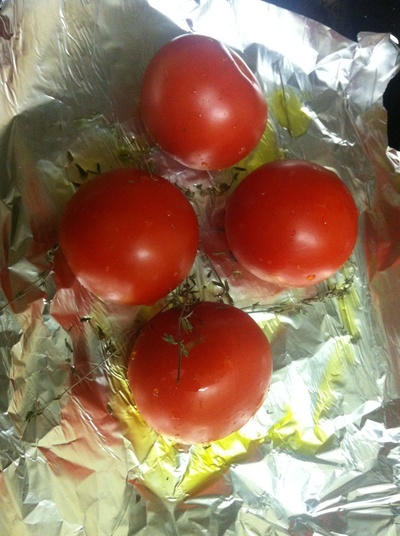 Gently roasted, with a little thyme and oil and these tomatoes come alive. Serve alongside roast chicken and you're on to a winner. 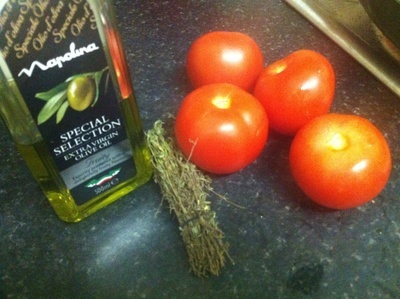 Grease a piece of oil with the olive oil and add the tomatoes and thyme. 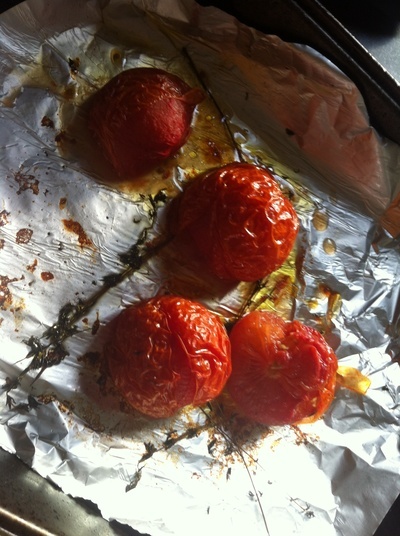 Place in the oven for 60 minutes at 100 degrees/gas mark 2. 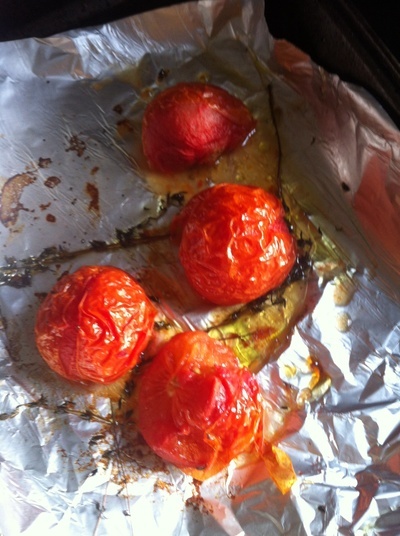 Remove from the oven and allow to cool a little before handling - so no hot juice spills out and scalds you.